Robert Malone had grown tired of seeing negative news coverage of the young boys in his community constantly involved in violence. When he asked himself what he could do to make a change in the pattern for these boys, a spark was ignited inside of him. He knew so many upstanding men in his community, men with good hearts and good intentions, and he was going to use them to inspire these kids and lead them to a better future, one without violence or strife. “We decided we should get involved, and mentoring was the way to go,” Malone said. In 2005, Malone and three others founded Mentoring to Manhood, a nonprofit organization focused on providing personal and academic support to young boys in their community and instilling what he refers to as the 3 C’s: character, communication skills and class. 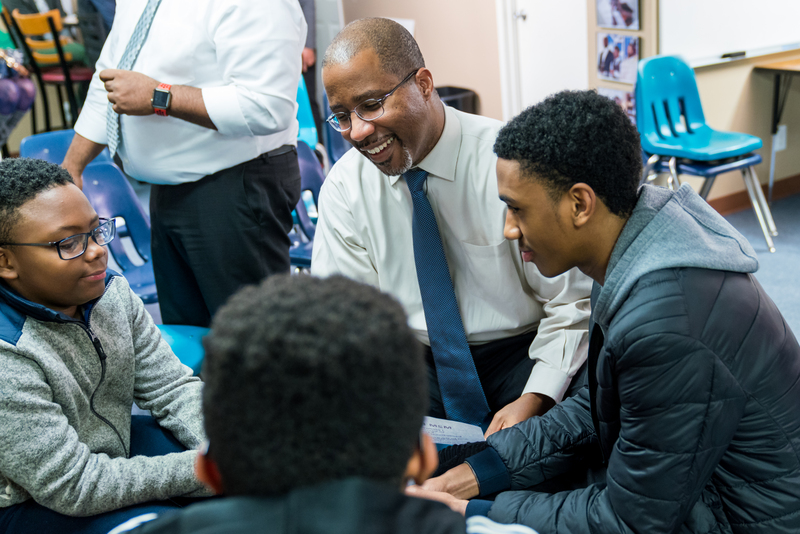 Today, Mentoring to Manhood provides mentorship, academic tutoring and family support to more than 150 middle and high school-aged boys in Prince George’s County, Maryland. Participants take part in a project-based curriculum throughout the year, learning the essential life skills needed to become productive and successful citizens. Recently, Mentoring to Manhood merged with longtime partner Community Tutoring Inc. to create Community Youth Advance, an organization dedicated to advancing the academic, social and career opportunities of boys and girls in their community. The merging of these two organizations has allowed Mentoring to Manhood to expand its services, offering more tutoring, learning opportunities and college prep services for both boys and girls. The grant will allow Mentoring to Manhood & Community Youth Advance to provide access to specialized academic support and homework help in addition to the mentorship services it has provided for 13 years. Watch the video to see their reaction to the news that they had won the S. Truett Cathy Honoree award. Mentoring to Manhood is just one of our 22 True Inspiration Award winners. From Cathedral Kitchen serving meals to impoverished residents in Camden, NJ to Folds of Honor in Oklahoma, providing educational scholarships to spouses and children of America’s fallen and disabled service-members, we're honored to support their remarkable work. 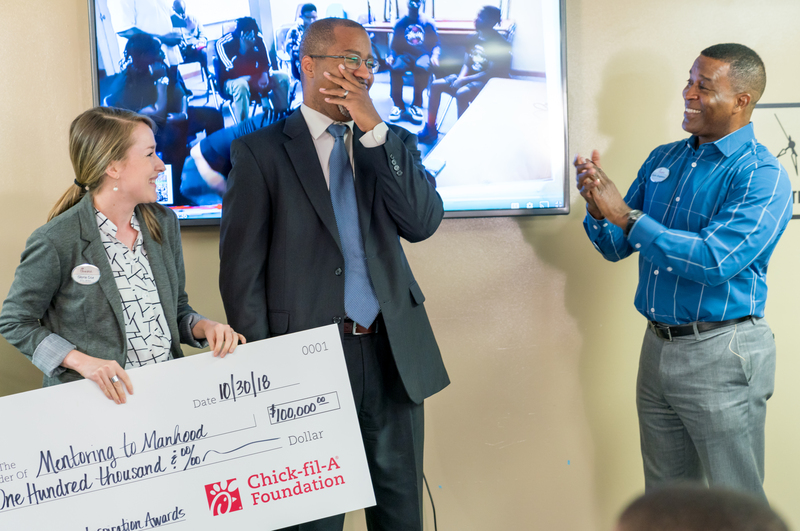 Thanks to our customers, Operators and Team Members, the Chick-fil-A Foundation is able to fund programs like True Inspiration Awards, and make a bigger difference in the lives of our children, families and communities. Visit our True Inspiration Awards page to see a full list of winners.